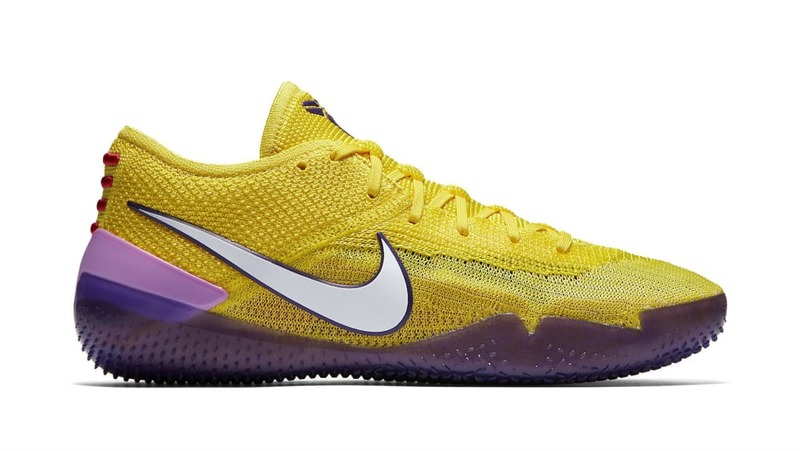 Nike Nike Kobe A.D. NXT 360 "Lakers"
Nike Kobe A.D. NXT 360 "Lakers"
This Nike Kobe A.D. NXT 360 drives home the Los Angeles inspiration with an all-yellow 360-degree Flyknit upper with a white Swoosh. Accents include purple on the translucent outsole and tongue, which are contrasted by a lighter shade of purple on the heel clip. Like the previous "Mamba Day" colorway, this new style also features red logos at the heel. Release date is June 1, 2018 at a retail price of $200.